Dual-level indicators let you know the seat is angled correctly in your car. Quick-adjust 2-position buckle easily moves outward as your baby gets bigger. Click & Go stroller compatibility allows you to pair the car seat with any Britax stroller and customize the perfect travel system. No adapters necessary. 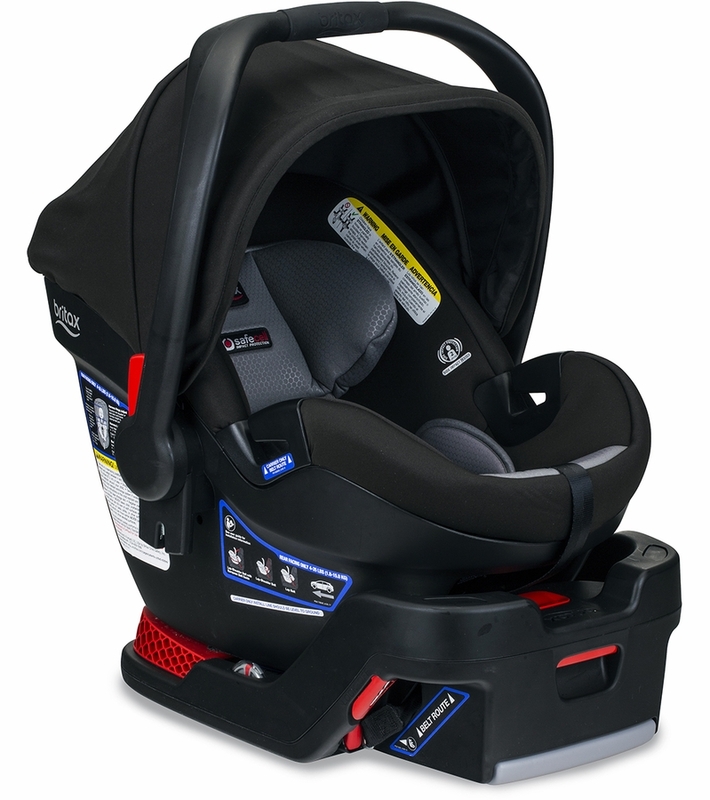 Child Seated Shoulder Height: 6.5 - 11"
Seat Back Compartment Height: 20"
Seat Area Depth / Width: 13" / 8.75"
Harness Slot Heights: 5.5" / 6.5" / 8" / 8.75" / 10" / 11"
Buckle Strap Depths: 4" / 6"
I LOVE this carseat. I really like the look of it, and it it keeps my son cool. We used a mesa for my first child and LOVED it, but it expired. We saw this and really liked the look of it and the fact that the baby will not sweat in the car seat. If I were to have another baby, I would probably buy a mesa again just due to personal preference, but regarding safety and usability/practicality they are exactly the same. Awesome britax infant car seat, safe and reliable brand. The carseat looks fabulous and the material is super soft. We were worried that since it is waterproof it might not be very breathable but somehow it is. The canopy is good size and comfort is optimal. Although heavy, it is worth it to know its extra weight is due to its extra safety. It seems quite comfortable--our baby falls to sleep in it immediately. It's really easy to adjust the height of the straps and the base is easy to install. The extra padding provided for newborns turned out to be more bulky than helpful, especially in tightening the straps. This carseat is a little heavier than our previous one, but I really like how our carseat cover fits it, which was an issue with our last one. Overall we've liked this carseat and look forward to using it for another year. The B-safe Ultra is made with great quality. Shipping from Albeebaby was ultra fast! Very happy with the material and quality of this car seat. Seat was also very recently manufactured and that is another huge plus. Item was exactly as described and pictured. perfect for first time parents!! I have been a longtime fan of the Britax brand. That is the one my older daughter uses. When I had the opportunity to review this Car Seat from Weespring Parent Panel, I was very excited. This car seat is VERY user friendly. It is easy to adjust the straps for your growing baby. I felt like mine needed to be adjusted every few weeks. The material is very soft and my youngest was very comfortable in it. It was very easy to clean because I also felt like my baby loves to spit up. I love that the material is water resistant, such a great feature. The seat only clips into the base on the side where baby's feet are located. This was great because it allowed the seat to adjust as the front seat adjusts, which was great when we had different drivers! Overall it is a good looking car seat which is much skinnier than the other one i used with my oldest. This allowed a person to sit in-between my children. I would highly recommend this car seat if you are looking for a safe, simple to operate, and easily cleanable infant car seat! Once again, Britax has knocked it out of the park with their safety features and easy installation. 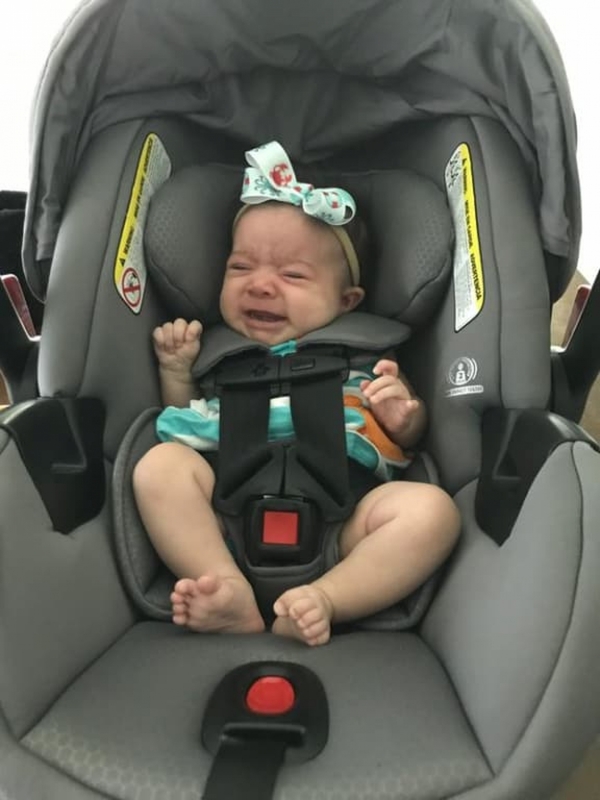 This infant carseat was incredibly easy to install with the latch system, and the safety and comfort of the seat is obvious in comparison to the previous infant seat we had used. The easy installation is what makes it so safe, in my opinion, as if you can't properly install the seat it is not safe. Britain is the only brand I find this to be true of. I could easily adjust the harness and straps. I use a double stroller that is easily compatible with an adapter as well. Thanks to the weeSpring Parent Panel for providing me with this infant car seat. I received this car seat from the weeSpring Parent Panel and tested it out with my newborn daughter (now 10 weeks). True to the description, the car seat is very easy to use with or without the base, which makes it ideal for our frequent taxi rides. The cushioning around my daughter's head is top notch, I love that she does not fall from side to side (unlike our previous infant car seat). Harness and straps are easy to use, and the sunshade has nice range (also unlike our previous infant car seat). My only issues are (1) we don't have a stroller base for this car seat, I wish they sold adapters that would be compatible with non-Britax stroller bases, and (2) the weight is significant (20lbs) which means while its comfortable to hold you wouldn't want to lug it around without a stroller. Of course, all the safety and ease-of use features still give it good marks in my book! A breeze to install and use! We were lucky to receive this from the WeeSpring Parent Panel for our newborn twins and we love it! We've had a few different car seats over the years (our oldest is 6) and this was one of the easiest to use and install. I didn't have to worry if it was snug enough. Absolutely love Britax products and am really thrilled with the B-safe Ultra! I am very impressed with the Britax B-Safe Ultra Cool car seat. Our daughter feels safe and secure and comfortable in the car seat each time we have used it. I found installation both with and without the base to be simple and easy, and I feel both ways are equally secure. I love that it is an option to install without a base. This avoids us having to buy another base for my husband's car. I found adjusting the harness to also be easy and uncomplicated, and it didn't require a lot of wrangling or pulling. Even when sleeping, my daughter's head is supported in the car seat and doesn't seem to hang uncomfortably as it did in our previous car seat. During these past hot days we have lifted the flap on the canopy to let some air flow through the mesh and that has seemed to really make her rides more comfortable. She easily gets hot and fussy in the car so this has definitely come in handy. This car seat is also narrow allowing us to have more room in our back seat, which is appreciated as we drive a small hatchback. I also really like the overall look of the Britax B-Safe - it is quietly classy. Thanks to the weeSpring Parent Panel for providing me with this infant car seat! Great Easy to Use Seat! We received the Britax B-Safe Ultra Infant Car Seat from the Wee Spring Panel and we absolutely love it! The bucket style seat feels very snug and secure for our infant and the straps are EXTREMELY easy to adjust compared to other carseats we have tried which I love. We also have the Bob Jogging Stroller so I bought the adapter for the Britax car seat and I LOVE how easy it is to clip it in and take it out of the BOB. We were easily able to install the seat without the base when switching cars which is a great feature for traveling with the car seat if you are planning on renting a car at your destination! The only reason I gave it 4 stars vs. 5 is because of the size of the seat. I drive an SUV and I have to put the passenger seat up pretty far reducing the leg room to fit the carseat in the back. Other than that minor detail it's great and I would definitely recommend it to a friend! Safe and Stylish Infant Car Seat! 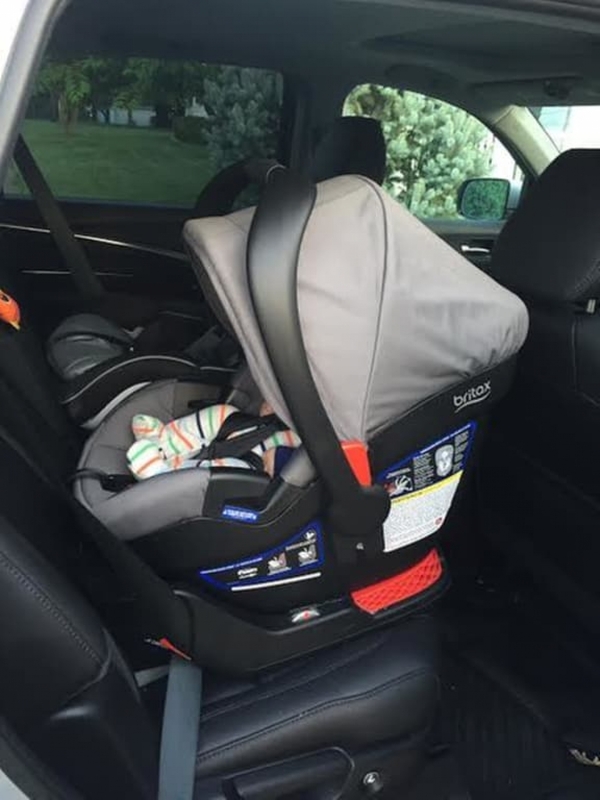 We used this car seat with our newborn baby and we love it so much! It was super easy to install with the latch system in our car and we also used it with the seat belt and no base when my mom took our daughter somewhere. Both ways are easy to install and made me feel like my baby was safe and secure! The car seat fabric material is high quality, easy to wipe clean, and keeps my baby cooler than the previous seat we used with her. The no re-thread harness is my favorite part! I love that I can easily adjust the harness height as she grows. My other favorite feature is the large canopy. It protects her from the sun much more than the canopy on our previous car seat did. 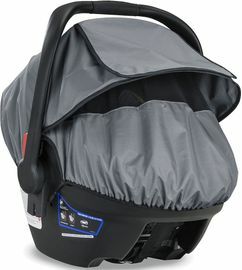 We got the car seat in the gray colorway and it looks so stylish and modern. Our baby is 2 months old and not very chunky and she fits snugly in the seat. The only downfall to this seat is that the seat itself is more narrow than the other brand we used, so if you have a chunkier baby, you might have to move them out of this seat at an earlier age. Overall, we feel that this seat is a great choice for any new parent! The safety features and side impact protection give us peace that we are keeping our little girl safe in the car. Thanks to the weeSpring Parent Panel for providing me with this infant car seat! Amazing car seat System! MUST have for New Parents!! 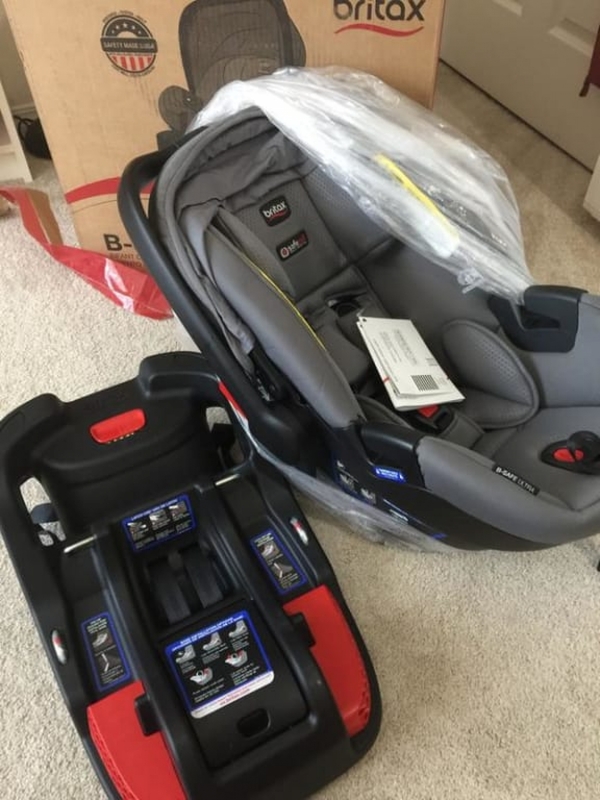 I received the Britax B-Ultra infant car seat & base as a product tester, from weeSpring Parent Portal. 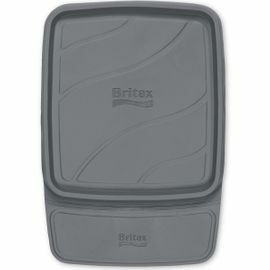 I already had the corresponding Britax B-Agile stroller that interfaces with the B-Ultra infant car seat. This system is nothing short of amazing. I put my three month old into his car seat and move him from the house to the car seats base in my vehicle with ease. Then when we pull up at our destination, the conversion from the base to the stroller is insanely easy. Just one quick pull on the latch at the top of the car seat which releases it from the base, a quick lift onto the Britax B-Agile stroller's brackets, which securely snaps into place with hardly any effort and we're on our way. It's a very smooth experience for my baby too and he never wakes up when snapping the seat into the car seat base or moving off the base to the stroller brackets. Everything is generally lightweight, too. I've handled some of my friends similar systems that are different brands and I can say with certainty that they're not this light and the conversions are not nearly as smooth. This system is a new parents dream come true. I'm in love with the Britax B-Ultra and recommend it for new parents if you want a seamless, ultra-lightweight, ultra-easy experience for you and your baby. I've been using the B-Safe Ultra infant car seat for about 3 weeks now, and overall, I'm pretty happy with it! The car seat is SUPER cushiony. The infant car seat that I used with my now 2.5 yr old seems like it must have been so uncomfortable after using this car seat. I love the extra cushions around his head - no more head falling over to the side. 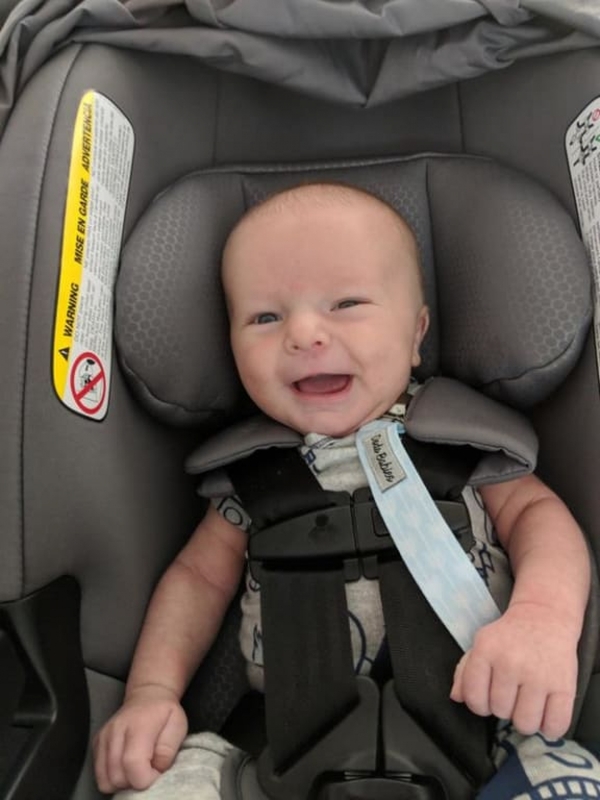 I have a 6 week old baby, who is growing SO FAST, and one feature that I loved was how you can adjust the height of the harness straps so easily. I literally did it one handed while I held my son in my other hand! No more re-threading the straps through! The only thing that is a bit more difficult with the car sear is actually getting my son buckled in... it seems like with all the extra cushions and padding, it can be hard to get him in there just right, and the actual buckles always fall down to the side and it's hard to find them. But, not a huge problem, it just takes a few extra seconds to get my son safely buckled. It was super easy to install the base - only took about two minutes, and it is super secure, no moving that thing! One feature that I love, that I haven't been able to test yet, is strapping the seat in without the base. 95% of the time, my car is used for all family travel, but on occasion we will use the hubby's (if it isn't full of his tools and equipment for work!). It seems so simple to install without the base. If I was a city dweller without a car and relied on uber/lyft/cabs frequently, this would be an ideal car seat for me! One negative is that this car seat is heavy! I guess that is just one of the downsides to infant car seats in general - bulky, heavy, and awkward to carry around. I'm also slightly disappointed that I can't connect this car seat in my B-Agile double stroller. It would be great if all the Britax products were compatible. I received this product from the weeSpring Parent Panel. 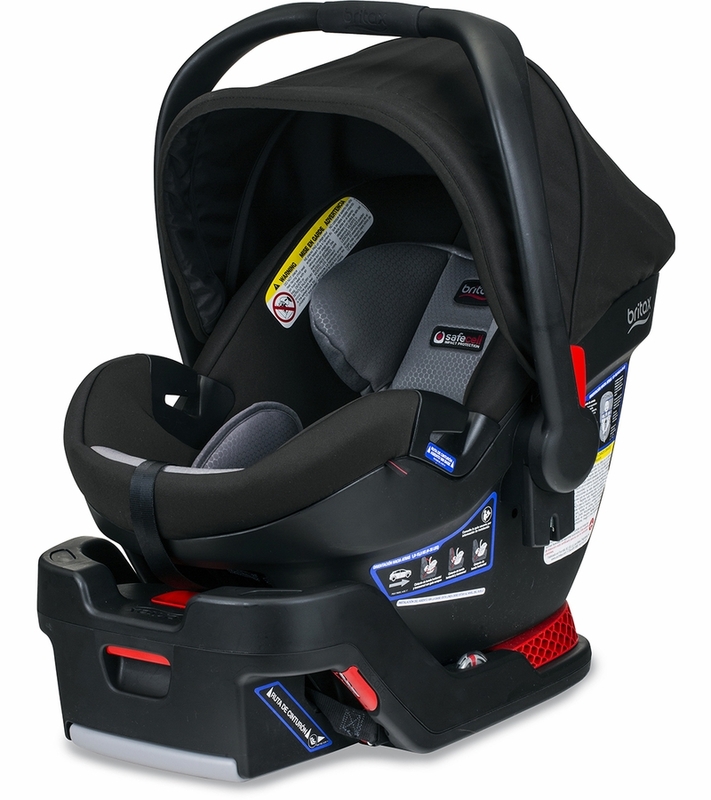 The Britax B-Safe Ultra Infant Car Seat is truly amazing. There are so many things I love about it, but the two that stand out to me the most are safety and comfort. First safety: this seat is SOLID. I love that it has a steel frame. Now this does make it heavy (one of the few cons), but I will take it for the peace of mind it gives me that my baby is as safe as she can be. The straps are also very easy to get nice and snug. I have worked with straps before that were hard to loosen and tighten, and these are so much better. This seat is also very cushy. My baby is so nice and snug with all the padding. The cushions are also very nice and soft. I would highly recommended this seat to anyone. Thanks to the weeSpring Parent Panel for providing me with this infant car seat in return for my honest review. I received this item for free as part of the weeSpring Parent Panel. This car seat is sturdy and feels safe. 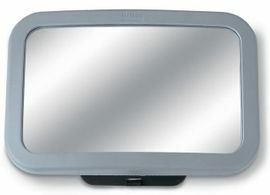 It is a great neutral grey color and has some awesome features. The base it comes with is easy to install and the seat clicks into it easily. At first install I realized that the seat only clips into the base on the side where baby's feet are. I soon realized that this is to allow the seat to adjust as the front seat adjusts. My infant sits behind the driver in my car (no middle seat in the 2nd row) and when my husband drives he moves his seat back further. This car seat adjusted to his seat touching it by lifting up some instead of just squishing into the seat back the way other car seats do. I also noticed right away that the shade on the seat is water resistant which is great if you live somewhere where it rains like I do. My baby is petite and fits great in the seat. She is snug and appears to be safe and comfy. My older child (18 months) also fits in the seat if some adjustments are made (letting out the shoulder strap length and moving the crotch buckle to the bigger kid position). These adjustments are easy to make. I was able to easily strap the seat into my Mom's car without the case. It has large deep sockets for the seat belt buckle to fit into so it is easy to strap it in. It also has a place on the back for the shoulder strap to hook to which makes it fit more securely when not using the base. The one downside I have discovered about the seat is that if you put the handle back and then go to move it upright to carry the seat it catches on the sunshade. This is a minor annoyance, but is annoying none the less because you have to stop and push the shade under the handle or pull hard on the handle to pass over the boning in the shade. I do not have a Britax stroller (although I would love to have one) so I do not know how it interacts with one, but I'm sure it would connect seamlessly since it connects to its base so easily. Overall I would recommend this car seat and feel safe putting my infant in it. 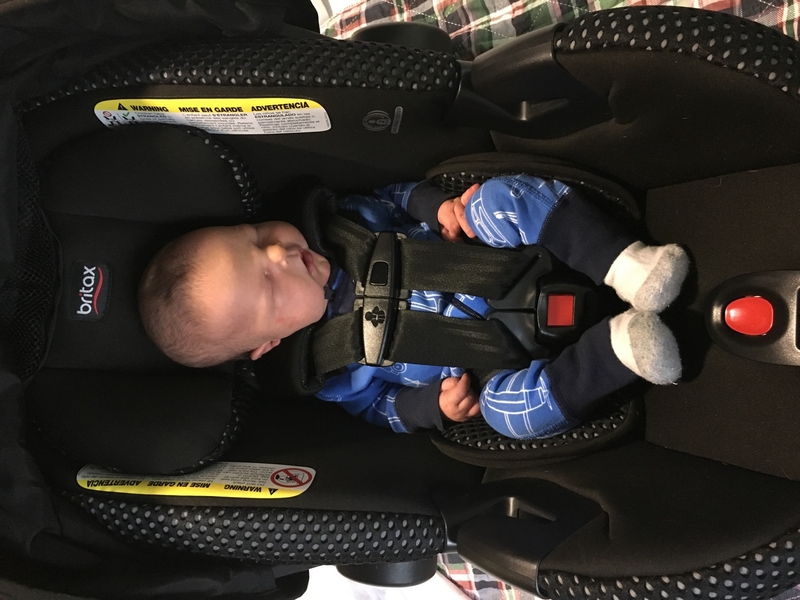 Thanks to the weeSpring Parent Panel, I got to test drive this new car seat and base. The instructions for installation were easy to follow and I preferred to install the base for the car seat to be easily moved to and from my vehicle. This is my first experience with Britax and I am impressed by how comfortable the car seat appears to be (my newborn seemed quite content in it) and by how sturdy it is, which gives me peace of mind for the safety of my baby while she is riding in it. I also really love the feature of not having to rethread the car seat as my baby grows-- it's so convenient! 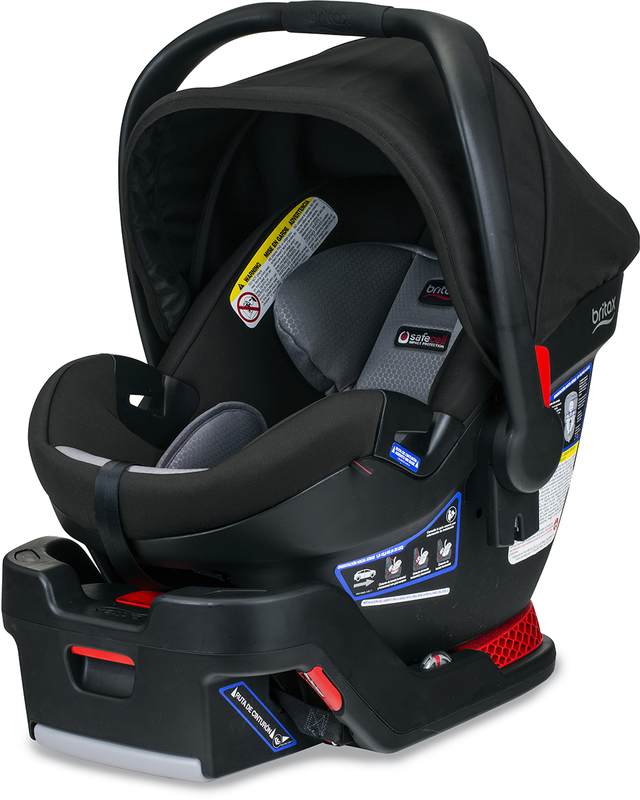 The Britax B Safe Ultra is a great all around car seat. I received it from the weeSpring Parent Panel to review and I was so excited to get it. This seat provided many updates and improvements to the older model I was using. I love how deep the seat goes because it gives the baby tons of room, yet he doesn't end up slouched at all. The harness is super easy to adjust at the shoulders and it has a visible red button to loosen and tighten the straps which I like a lot better than the older version where this button is hidden underneath the fabric where grandparents just can't seem to find it! The multiple options for shoulder adjustment are great and being able to move the buckle when the baby gets bigger is really nice. I also love the larger sun shade and that there are four locking positions for the carrier bar. Not to mention the option to use this car seat with just a seatbelt making it great for travel. I no longer have to lug the base around for trips to Nantucket! The fabric is really nice, but I didn't notice it being any cooler than my older version, but the baby doesn't get too sweaty. Perhaps it's hard to tell in the summer heat. This car seat was the perfect addition to my Britax Affinity stroller! I love how Britax makes all of their car seats compatible with all of their strollers so I can upgrade one without the other. 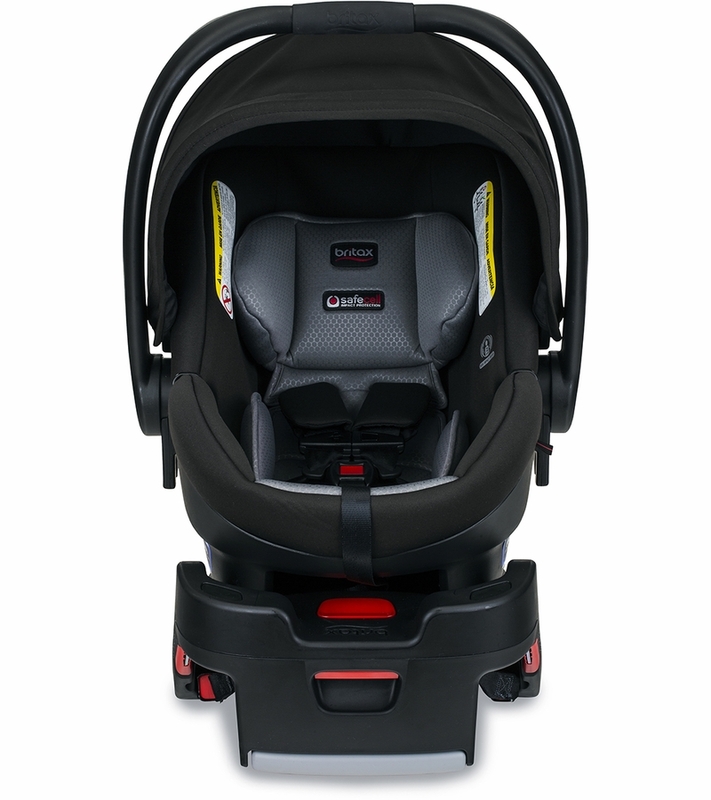 Britax offers unbeatable safety features at an affordable price. I highly recommend! We love the Britax brand and always feel that our kiddos are safe when they're protected by Britax. We were able to compare the new Britax B-Safe Ultra to the older model and came up with a few pros and cons. â¢	New material in the seat provides more comfort, padding and airflow. Thanks weeSpring Parent Panel for allowing us to test the Britax B-Safe Ultra! This is our second Britax B-safe car seat and we've loved both. This updated version has an even better button that you push to adjust the straps. I LOVE how easy it is to adjust the straps especially after using a convertible car seat for my toddler that makes doing so difficult. The B-safe straps do not get twisted like other car seats, especially with a small newborn. I feel like my 6 week old had loved the B-safe ever since we first put him in it when leaving the hospital. This updated B-safe is much softer too. The cushioning is so great for newborns and the fabric is easy to clean. Even spit-up comes off easily with a wipe. The B-safe seat is also super easy to take in and out of the base so you barely spend any time in that awkward position hunched over trying to get your baby out of the car. We have a small car and the Britax works very well fitting into smaller cars. Getting the seat in and out of the strollers is super easy too. We have a Britax B-agile and a Bob jogging stroller with the attachment that allows you to put the car seat on top. 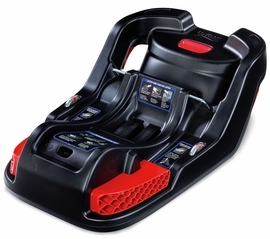 As for safety, there's nothing safer than the Britax B-safe and I would recommend it to everyone. We received this product from weeSpring Parent Panel and were very pleased. The padding in the carseat comfortably hugs our child and prevents his head from moving around too much while transporting him in the car seat. Installing the base was fairly simple. The latches weren't compatible with our SUV (they allowed the base to slide around too much). However, we were able to use the seat belt to install the base securely. My husband has to retighten the seatbelt every so often, which isn't a big deal. The base/carseat fits nicely on the rear passenger side, next to our larger rear facing convertible car seat for our oldest child. There is an option to install the carseat without the base. However, the slots for the seat belt are right above the child's legs. It appears the seat belt would rub on the child's legs, so we didn't try it. You can adjust the harness as your child grows with two buttons on the back side (great feature!). The car seat is compatible with our Britax B-Agile single stroller. 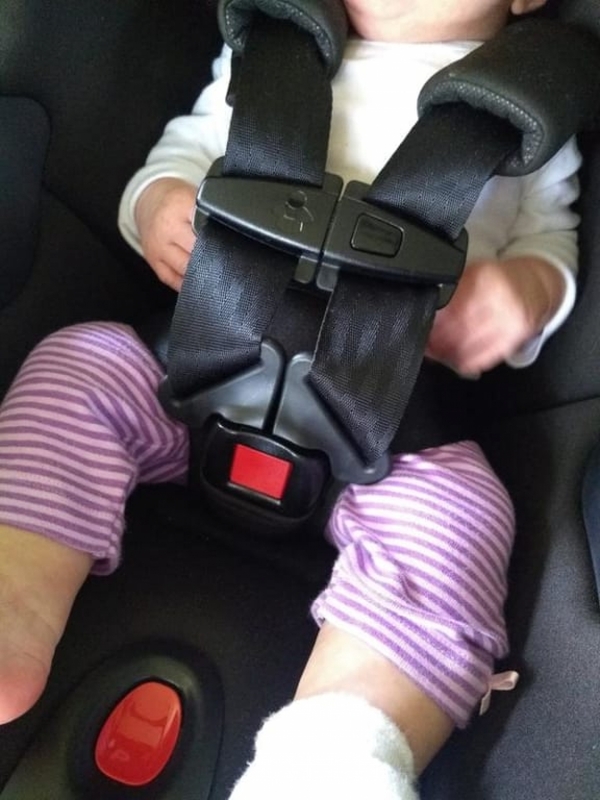 It's very easy to connect and disconnect the car seat from the stroller (another great feature!). The car seat is not compatible with our Britax double stroller. The car seat is a little bit heavy and awkward to carry. It's a lot easier to walk and carry if you use your forearm on the handle. Overall, this is a great car seat and we would recommend it to anyone looking for a quality infant car seat. I received this car seat and base as a gift from Wee Spring Parent Panel and I am very happy with it. My 3 month old is very small for her age and this car seat holds her very securely, with plenty of room for her to grow into it. It also keeps her nice and cool, which is a great feature in the middle of the summer. The ability to adjust the shoulder straps without unhooking them is very convent. It was simple to install the base into my car, and I used the seat without the base when travelling last week, and it was also extremly easy to use. I am really happy with this seat and will be using it until my daugher reaches the height/weight limit. The Cool Flow technology really does keep my baby nice and cool in the hot summer weather! Her head doesn't bounce around because she's well secured. The instructions are clear and precise and it really helped with easy installation. It also helps you see if you car seat is appropriately angled with the built in level. I also love the fact that you don't have to unthread and rethread the straps. The color option we got is also pretty I must mention. I was given this infant car seat to try as part of the weeSpring Parent Panel. I received this infant car seat from the weeSpring Parent Panel. I like the look of the seat. Also it seems safe and comfortable for baby. I like that she's down pretty far into the seat which also seems to protect her head better. I also like how easy I can adjust the straps (much easier than the other infant seat that I have). I found it simple to install with the latch system on the base. It was easy to adjust the base to get it level using the built-in leveler. My cons are #1 that it is heavy. The other seat have is also heavy and this one weighs the same. I suppose this comes with having the steel frame which is great safety-wise. Another con is that at least in the gray material (Gris) that I received, drool spots show when dry. I found them to be easily spot-cleaned but I don't like having to do this so often. It just appears dirtier faster. The third negative for me is that it is not compatible with any other brand stroller. You pretty much have to choose to be married to the Britax brand. Overall I like this car seat and as long as someone planned on getting a compatible Britax stroller, I would recommend it. Thanks to the weeSpring Parent Panel for providing me with this infant car seat! I received this carseat about a week before our family moved states. Perfect, I thought. The 16 hour car ride will be the ultimate test for the product. First, safety. Um, could this car seat feel anymore secure? I know it has a steel frame and all the extra padding but the beast just LOOKS safe. One drawback is the thing is heavy and might not fit in a small compact car. I have a minivan and I had no problem fitting it in. The heft of the carseat DID ease my mind as we sailed along interestate after interstate. My toddler has a Britax convertible seat and I was grateful for the car seat that has all the same safety features. The Safe Center Latch system made it easy to install and the little bubble thing on the side helped me to ensure that the car seat base was level. On that note, the craziest and coolest (well, second coolest) thing about this car seat that I haven't had with my other two infant car seats was the way to sort of "pump up" the base to make it level. I didn't have to worry about wedging in a towel or anything else like that to make the car seat level. Such a great feature. BUT the BEST feature was the harness. YOU WILL NEVER HAVE TO RETHREAD THIS CAR SEAT. The mechanism on the back to adjust the height of the carseat was amazing. I have a pretty long baby and I was worried about squishing him in the car seat when I got it. But the way the straps were set up along with all the support and padding on the side ensured he had enough room. Finally, the comfort of the seat. My three month old slept basically the entire drive. The padding on the sides kept his fat cheeks and head secure. I was so grateful to have been given this car seat to test. It provided a peace of mind and a sleeping baby - the two best things in the world. We have been a britax family since day one. We have been lucky enough to have an infant seat and a convertible that has seen multiple children. 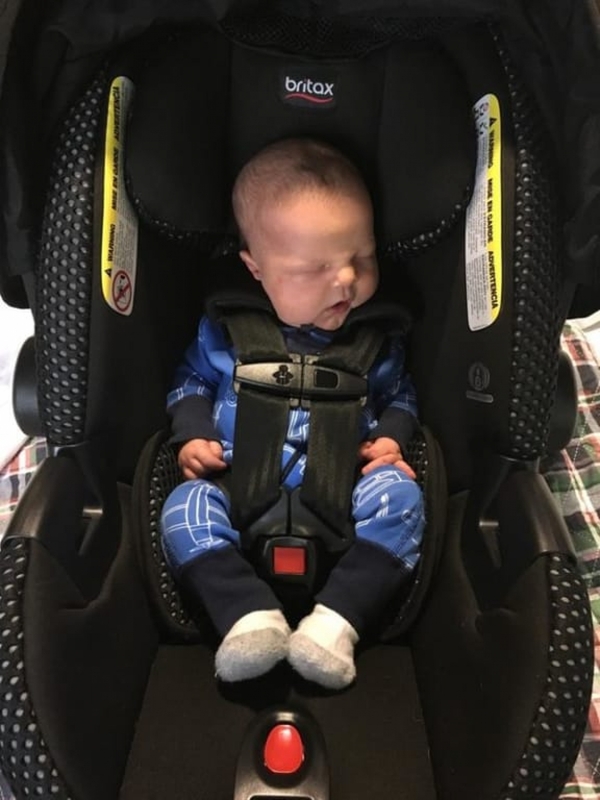 Our infant seat just expired before baby 3 came into the picture and we have been lucky enough to be given the newest 2018 Britax B-Safe Ultra a test drive through the #weespringparentpanel. A few things have change since our first B-Safe. For example, the no-retread adjustment! How great is that with a growing newborn?! I also had a huge baby at nearly 11 pounds and in 99th for height, so we had to remove the insert and move the buckle to the biggest setting. It was so simple that I was able to do it quickly while the little miss was upset with having to get in and then out of the seat. I also love the newer design of the head support. I felt like the previous model was cheap and lacking "support." In this updated model our little miss is nice and snug. The European belt path is amazing!! Great job britax for adding this feature. After all, this is our 3rd baby and who wants to have extra gear! So to keep with the 3rd baby minimal lifestyle we did not get an extra base. I feel completely comfortable having grandma or dad take the seat in their cars with the European belt path because it's so simple to install. Also, the material feels so lux! I hated the scratching feeling that our last britax B-safe had but the safety ratings won me over with that original purchase. The only cons are (1) that it is still heavy and (2) the design change doesn't work with older adapters for other brand strollers! I basically gave birth to a 3 month old and I leave the seat in the car because it so heavy with the combined weight of the seat and the baby. I also HATE that the change in design makes me have to buy an updated adapter for our other strollers! The Britax stroller click and go is fine with our B-Agile , but the jogging stroller is what we use most at home for parks, Starbucks runs (mama neeeeeds her coffee), and neighborhood play dates. Overall, this is a great seat and travel system. We have loved the amazing safety ratings, easy of installation, and great new added features. Thanks again WeeSpring Parent Panel for the chance to review this great seat. We love this car seat! There are so many things to like about this car seat! We thankfully haven't had to test out the safety of it, but the car seat seems well padded and I trust the Britax brand. The no-rethread harness is so easy to adjust. We've had ones that don't and this is much nicer for growing babies. My husband's favorite part is the clasps for the LATCH system. He had seen this style on our niece's car seat and has wanted them ever since. It makes installing the base so quick. We've also used the car seat without the base and getting it tight and level was a breeze. This is definitely a wonderful car seat! I was happy to test this car seat from weeSpring Parent Panel. I received this infant car seat from the weeSpring Parent Panel. After reviewing the specs, we found that this seat has excellent safety features. It has side protection and impact protection. Although we personally use the latch system in our vehicle, it's nice that it has the European option if needed. My husband installed the base in less than 5 minutes. He had it completely secure with little to no movement and leveled. It was very easy for him to install. The downside is that the base sticks out pretty far off the seat. The manual allows for 3 inches to stick out but after that is unacceptable. We didn't actually measure, but it looks to be around 3 inches for us (the manual has an image of the 3" mark). Before placing the carseat in, the straps needed to be adjusted. First, according the shoulder strap height was simple. It can be done with one hand simply by pressing the button release thing on the back side if the seat and sliding up or down. My son is over 11lbs, so we had to adjust the crotch buckle and the harness straps. Once the base was installed, the seat itself just clicked right in. The harness straps needed to be unhooked from their original position and hooked to the bottom loop of the strap. Simple enough. The crotch strap/buckle was a little annoying to adjust. I had to remove the buckle from the belly pad to get enough slack to twist the strap/metal piece on the bottom of the seat to pull the crotch buckle out and reinsert it into the next slot. Once that was done, i reinserted it into the belly pad. Also, since he is over 11lb, I had to remove the infant pad. One of the main features of this seat is that it is supposed to be cooler than others with its mesh padding. Maybe because I live in florida, this wasn't the case. My son still sweats in the seat. One great feature is the size of the canopy. Other seats I've owned had pathetic canopy sizes but this seat has fantastic coverage. I appreciate this feature because I live in florida and the sun just beats down on us and can be blinding. I also like the padding in the head position so he doesn't bounce around too much. It also helps that he is a month & 1/2 old so already has some head control. I'm not sure how it would be as a newborn. Adjusting the straps and buckling him in was very easy. The straps were very smooth and the buckles buckled right in. I was concerned that as a new seat, the straps would be stiff. This wasn't the case. When it comes to unbuckling, I'm not a fan of the chest clip. It wasn't as easy to press in the button to unbuckle. The crotch buckle was no issue. Lastly, I believe the seat handle didn't really adjust as easy as I thought it would because the buttons were a little stiff pressing in. Maybe with more use, it'll get easier. Overall, this is a great carseat and definitely prefer it over the others use used in the past. I really wish I had the stroller to use with it!! I received this car seat and base as a gift from Wee Spring Parent Panel and I am very pleased with it. I had the B Safe 35 with my first child. 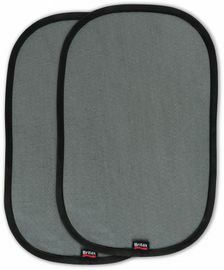 The B Safe Ultra has a great, cool fabric, when compared to the B Safe 35. The B Safe Ultra is also more cushioned and has a back support for comfort. The Ultra also has a very easy adjustment for the shoulder straps. I like how you don't have to unthread and rethread the straps. The click and go option is very user friendly. 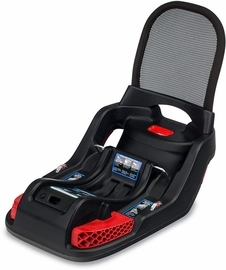 It is easy to attach the car seat to the base and to our Britax single and double strollers. The B Safe Ultra seems to be a bit more laid back, as in reclined. It seems like my daughter is almost too reclined and it looked slightly uncomfortable, until she grew a bit. Keeps our June baby safe and cool! We've loved this car seat for our June baby, the Cool Flow technology really does keep her nice and cool in the hot summer weather! No more sweaty back when we take her out of the seat. And, I love how secure she seems in the seat, bonus points for the fact that her head doesn't bounce around like in other infant seats we've had! Overall it's great. We bought this because it's one of the only car-seats small enough to comfortably fit in the back of my hatchback. Looks safe, I like the option to lift the flap on the canopy to let air flow through the mesh. The padding looks efficient and comfortable. My only reason or 4 stars is that the plastic around the crotch buckle seems to dig into my child's thighs. Not sure if this will change as she grows, but I'm wondering if I have it adjust correctly? Anyway - overall it seems to be a great fit. 2 weeks ago we had our fourth baby and it's our first time to use this Britax car seat.What first struck me is that this is a really beautiful design and color.I found the instructions to be clear and helpful- there is even a specific pocket in the car seat to store the directions in case you need them later. I was also very impressed with the base that came with the car seat- that thing is crazy heavy duty.Also helpful is that the car seat itself has a built in level to help you see if the car seat is sitting at the appropriate angle. I love the cushions, am very happy with the simplicity of lengthening and shortening the straps and love the strong thick visor that covers half of the car seat when open.I'm still a little confused how to keep our baby's head from falling to one side, but I had this same issue with other brand car seats we used in the past. To help with this I roll up a smaller blanket and put it around the sides and top of my baby's head to keep it in place until the baby's neck gets stronger.But most importantly, I feel my baby is very safe in this car seat! 2 weeks ago we had our fourth baby and it's our first time to use this Britax car seat. What first struck me is that this is a really beautiful design and color. I found the instructions to be clear and helpful- there is even a specific pocket in the car seat to store the directions in case you need them later. I was also very impressed with the base that came with the car seat- that thing is crazy heavy duty. Also helpful is that the car seat itself has a built in level to help you see if the car seat is sitting at the appropriate angle. I love the cushions, am very happy with the simplicity of lengthening and shortening the straps and love the strong thick visor that covers half of the car seat when open. 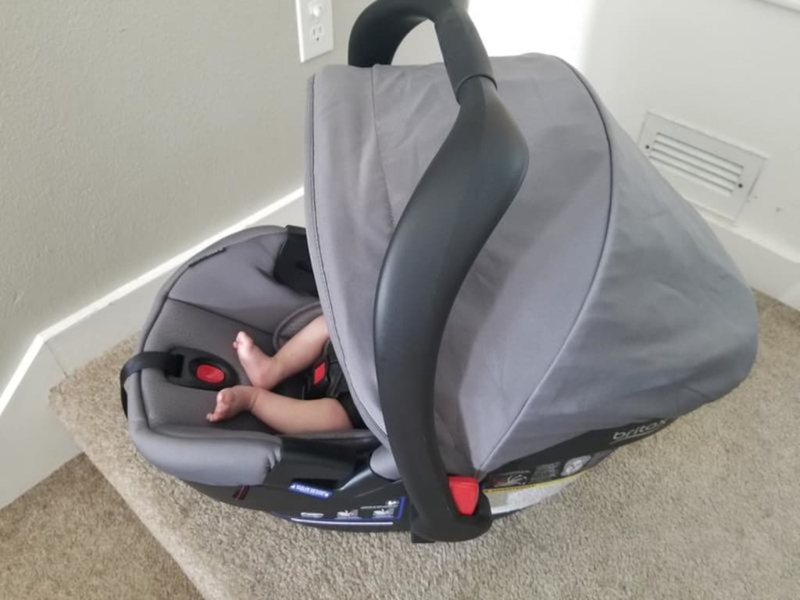 I'm still a little confused how to keep our baby's head from falling to one side, but I had this same issue with other brand car seats we used in the past. To help with this I roll up a smaller blanket and put it around the sides and top of my baby's head to keep it in place until the baby's neck gets stronger. But most importantly, I feel my baby is very safe in this car seat! 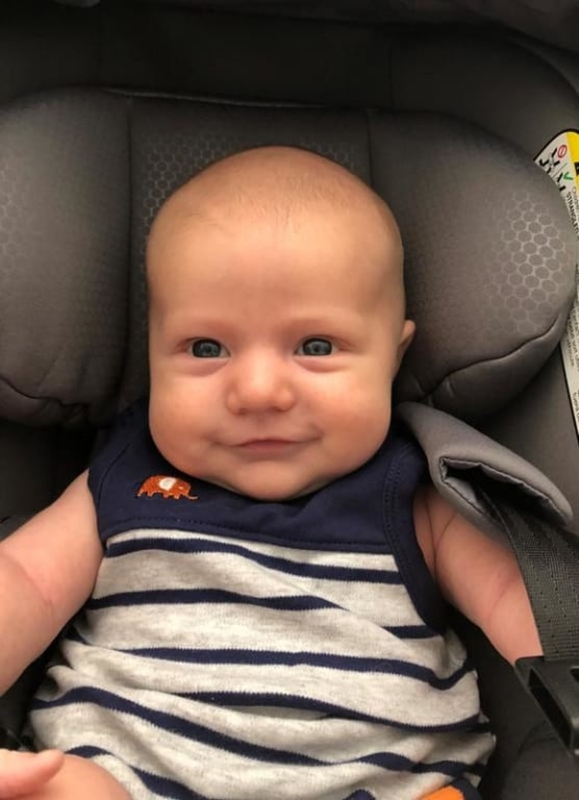 Britax customer now and always! I am using the B-Safe Ultra with my second while. My first had the B-Safe model from 3-4 years ago and then the click tight as he became a toddler. We have been happy with Britax from the start but this B-Safe Ultra has shown me that Britax just keeps getting better and better! It is so easy to use, easy to get in and out of the base and in and out of the stroller. I feel like my daughter is super secure and comfortable in there and she never comes out sweaty and fussy with the new cooling feature! I don't worry about my children's safety in the car with these products. I couldn't be more happy with our B-Safe Ultra! Holds our baby securely. One great feature are the strap cushions. It comes with them so you don't have to buy any. It was very easy to install and the level bubble is easy to see to ensure the car seat is in the correct position. We received the real color and love the way it looks. I received this product in a drawing in return for leaving a review. It is compact, sleek, and the teal color is a great accent. The mesh appears to be a little cooler than your average car seat insert, but as I have not experienced a full Texas summer with it it is hard to tell. Installation was simple, and usage has been easy so far. This is the 3rd Britax infant seat I've bought Over these past 7 years. This one is my favorite. Its an attractive seat, and seems comfortable for little ones. I love that its breathable as my previous seats seemed to make my little ones hot. I would love to see this line in additional colors.